Amazon Web Services (AWS) has consistently been ranked as one of the leading cloud providers by Gartner through its Magic Quadrant Report. Microsoft’s cloud platform Azure is the other leading cloud and IaaS provider that is giving AWS a run for its money. However, when it comes to databases, AWS wasn’t in the arena to play the game. But now, things have changed. This year when Gartner published its Magic Quadrant for Operational Database Management Systems, AWS has joined the race as a leader in database services. Here are some of the benefits of the top 3 database management systems which include AWS, Microsoft, and Oracle. Amazon’s Relational Database Service (RDS) provides small and large businesses with the capabilities and technology required to host databases on-site minus the hassle of hardware provisioning, software and hardware maintenance, and database administration. Like with other options in AWS, Amazon RDS can be scaled up or down at a moment’s notice via the cloud administrative dashboard. This eliminates the need to purchase new hardware or only utilize a portion of the server racks that are running on-premise. One of the biggest advantages – AWS offers users a free trial account to use for an entire year. Organizations can test, build, and try out running databases in AWS and spend time configuring it to fit their specific needs without having to invest any money. After the year is up and the business is happy with its database configurations, they can then subscribe to RDS for 1/10th the cost of a traditional enterprise-class database. According to this year’s Magic Quadrant report, Microsoft was placed ahead of Oracle and is the current leader in the Quadrant among database management systems. This is largely in part due to recent investments by Microsoft in its data platform including Azure DocumentDB. Microsoft also released hybrid capabilities for its SQL servers which allow SQL to be run on-premise and in the cloud. These advancements have moved Microsoft to the top of the race this year. Although with Amazon entering the race, Microsoft will need to stay on its game to claim the position as the leader among database management systems. Oracle has maintained its status in the upper right quadrant year after year as the company boasts the broadest product portfolio in the market. 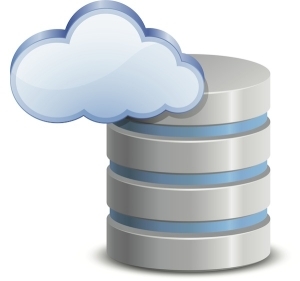 Oracle offers database management systems for multiple purposes including NoSQL, streaming data, and mobile as well as delivery in both the cloud and on-premise. Trying to stay in-line with its competitors, Oracle now offers Capacity on Demand licensing and flexible configurations for its DBMS on its Exadata Engineered System. With flexible pricing and configurations, more organizations can take advantage of the Oracle platform. Previously, many businesses opted for one of its competitors due to its high entry and upgrade costs, which have been reduced thanks to the Capacity on Demand licensing. These are just the top 3 database management systems out there (according to Gartner). If you need more information or are unsure of which database system is right for your business, don’t hesitate to give us a call.